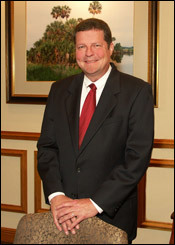 Jim Rose shared his views in a recent Daytona Beach News Journal Business article. Local real estate attorney Jim Rose, who tracks foreclosure filings in Volusia County on a weekly basis, described the drop in foreclosure filings in Volusia County as “precipitous,” adding that foreclosure filings continue to be down so far this month as well. Click here for the complete News Journal article.